It is May 2014. A quick Google search for “Mensakaba Geishu” and you’ll find a couple of placeholders in online food directories (like TripAdvisor and Looloo), a Facebook page and a couple of geo-located Instagram posts of noodles from an up and coming ramen bar in the south. I heard about the new ramen bar by accident — eavesdropping on a conversation while working at my favorite 3rd wave coffee gallery in the south. 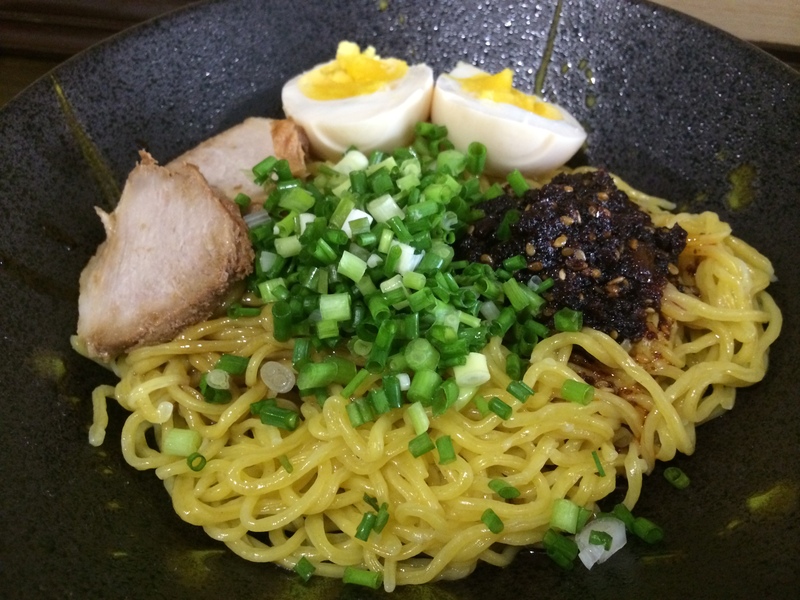 There was a new foodie haven in BF Homes — a pseudo hole in the wall with only 12 seats akin to a typical ramen bar in Japan. And it has never been featured on a food blog or a broadsheet, unlike most of the other popular food destinations along the Aguirre strip. So let this be the first. Mensakaba Geishu is run by a very cordial family — Alyn takes the orders and chats everyone up while her husband Hiro is the gastronomic genie behind everything you consume. Alyn used to run an organic soap business till competition got too stiff. Hiro on the other hand was a general manager at a golf club. He spent a lot of time in the kitchen though, developing recipes for the club which, even after his retirement, are still used today. He is not a chef. He’s closer to being a savant. Hiro always wanted to put up a ramen bar and thus, three months ago, Mensakaba Geishu opened up at the very end of the Aguirre Avenue strip by the Southland Apartments. For those unfamiliar with the place, it’s right across another famous gastronomic southern star — The Girl + The Bull, run by Thea and Gab. 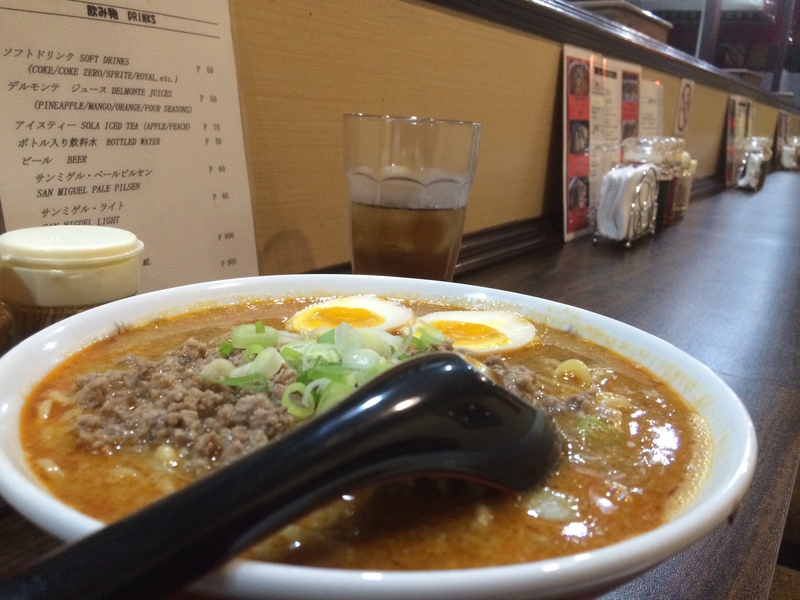 To tell you the truth, I’ve only ordered one thing consistently on the menu — their tantanmen. For PHP 250.00, you are presented with a bowl of firm yellow noodles with just the right amount of kick, veggies and soft ground pork. Unlike most ramen bars that aren’t easy on the stomach because of their oily broth, Mensakaba Geishu’s broth isn’t oily at all and this bodes well for people who need to run to the bathroom for a quick #2 to dispel the oils from their ramen. So yeah, it’s really the tantanmen. That’s why you come here. Add extra noodles for PHP 20.00. Make it extra spicy (they call it “level 5 spicy”). Add extra tamago. Their recipe for eggs has changed in the 90 or so days that they have been open — from having a custard-like consistency to that of the more traditional seasoned tamago. 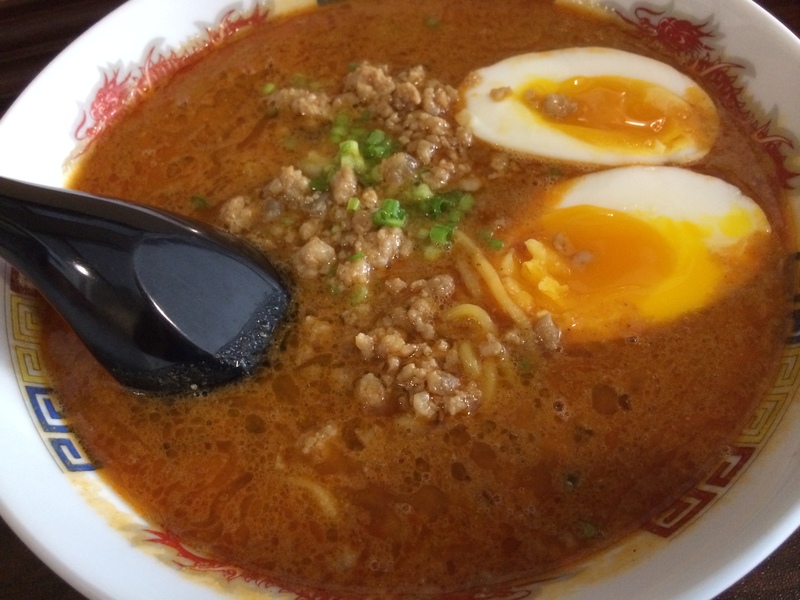 But whatever you do, your first visit here has to be for their tantanmen. It won’t disappoint. There are other fair treats — like their chashu ramen for less than PHP 300 with 5 pieces of pork slices. Then there’s the Abura Soba — an oily and mildly spicy pancit. There’s yakitori and gyoza. But really, I HAVE TO STRESS IT AGAIN: TANTANMEN. Hey, you know what? If you love their food and have the capacity to spread the word, please do. In their words, “wala po kaming oras para mag Facebook o mag marketing.” (they don’t have the time for Facebook or marketing). Facebook isn’t their thing — serving batches of filling ramen is. Their marketing is actually of the best sort: word of mouth. They’re that honest. And that’s why in less than 90 days, they’ve had nights where the line pulls up outside their 12-seating capacity bar and I’m so happy for them! P.S. I pay for my food. Nothing in this review is sponsored.